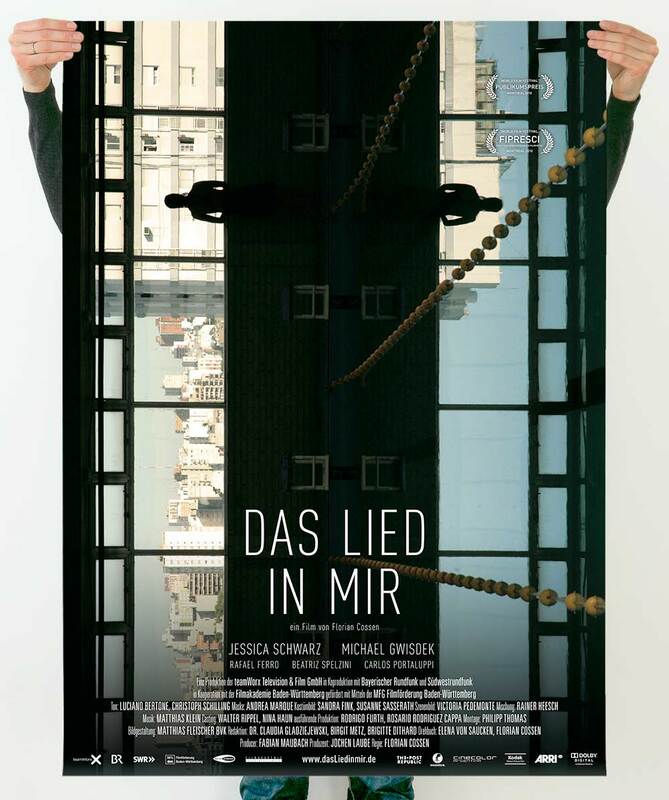 Festival poster, magazine ad, cinema poster and DVD for the movie “Das Lied in mir”. During a stopover in Buenos Aires the 31 year old Maria recognizes a nursery rhyme. Even though she does not speak any spanish, not only the melody but also the lines come back to her head. Confused by these events, she misses her connecting flight and decides to stay in Buenos Aires for some time. 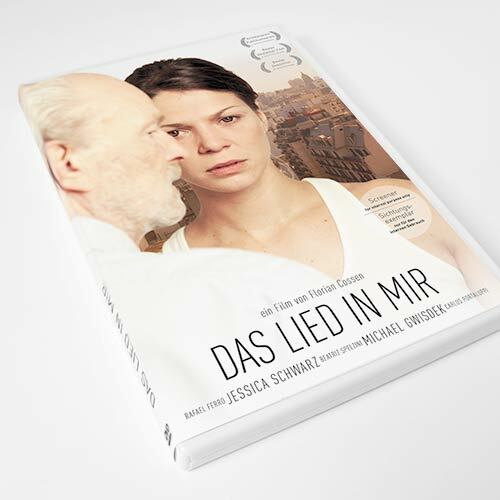 Little by little she learns that her parents are not her biological parents but adoptive parents that kidnapped her from Buenos Aires as little girl. 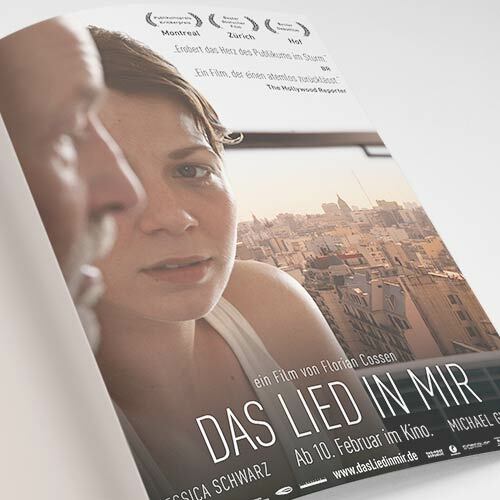 The festival poster shows the live of Maria. One side shows the city of Buenos Aires while the other only reflects fragments on an empty blue sky. One Maria watches the City of Buenos Aires, the other one stares into the emptiness. The final cinema poster creates a strange atmosphere. Maria, the main character, feels, without seeing Buenos Aires, that there is something amiss. 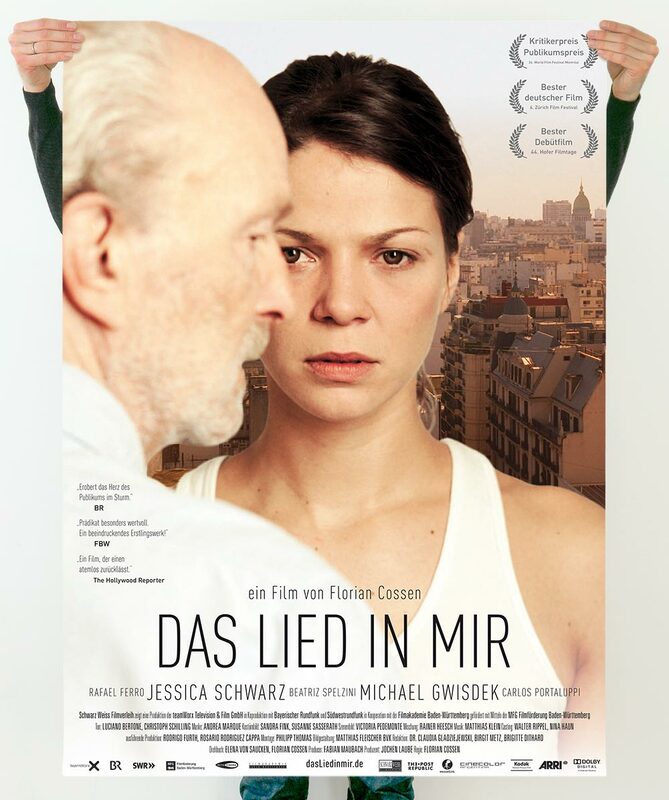 Her adoptive father tries to calm her, pushes himself between Maria and the audience without loosing sight of the audience.